New Orleans Nick Jones was an organizer and boycott coordinator for the United Farm Workers from 1966 to 1976, and then spent another 30-odd years as a union organizer, largely with Service Employees locals around the Bay Area, finishing his career with the National Union of Healthcare Workers. 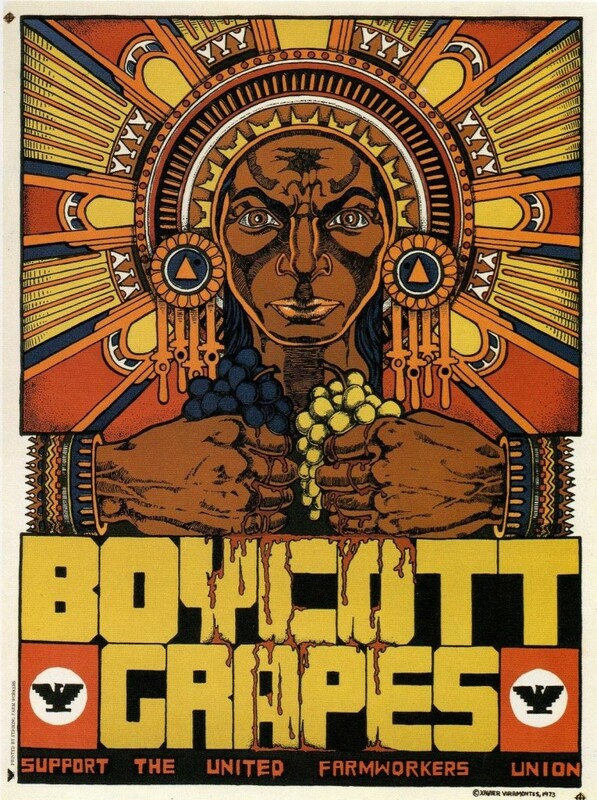 His time with the UFW ended in the divisive meltdown of the farmworkers led by the purges orchestrated by Cesar Chavez as he tightened his control on the union, in one of the more regrettable organizing tragedies of the last 50 years in the work. Nick was interviewed in Social Policy in the recent issue, and I talked to him in more detail on Wade’s World as well. What interested me most though is Nick’s argument that boycotts are an underutilized tactical tool for progressive organizations now. First the backstory. 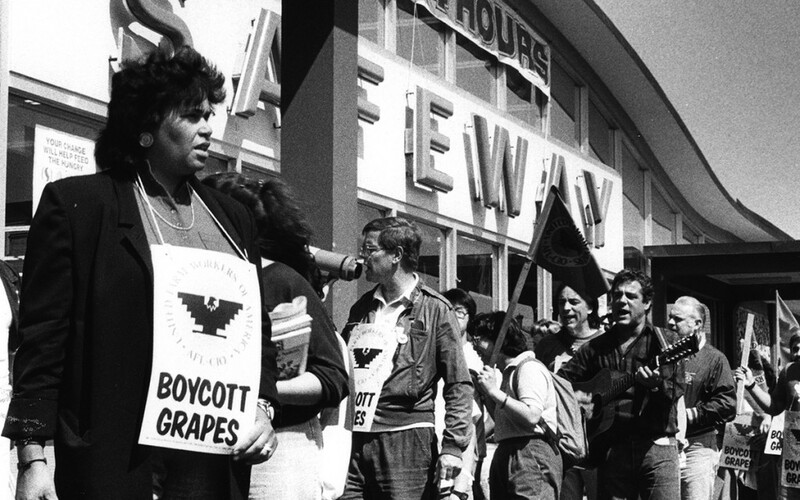 The farmworkers’ boycott was massive. A staffing model that welcomed – and trained – volunteers was key, paying them $5 per week in 1966 which would be about $40 per week in 2016, along with room-and-board, was critical. The struggle combined a lot of elements in the equation: a popular underdog cause, a charismatic leader, a set of simple “asks,” and using consumer and public facing companies, brands, and products as targets. It was interesting to hear Nick, and read elsewhere, about cities like Boston that produced more in donations on the street for the boycott than they were spending, making the boycott essentially a self-sufficient operation. The ability and willingness for unions, churches, and others to donate living spaces and food were also key. The ask was donate por la causa – for the cause and don’t buy grapes, or a particular wine or lettuce. There were also some critical exceptionalities that are hard to reproduce. Chavez was, unarguably, a special organizer and leader, carrying contradictions as complex as the human condition. Having a window when particular damage would be telling because of the seasonality of the crops was also an advantage that you wouldn’t find in many targets. 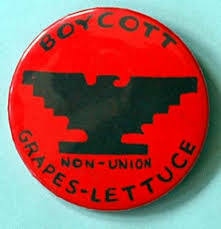 Finally, the exclusion of agricultural workers from coverage under the National Labor Relations Act meant that there were no bars on secondary boycotts by the union, meaning stopping the grocers handling the grapes as well as the grape farmers was possible. Nonetheless, Nick has a point. He raised Walmart as an example. That’s a hard one. Many have been boycotting Walmart for years even without a union calling for such action, and it’s unclear that there has been much impact. McDonalds might be interesting and more vulnerable, but the current strategy of advocacy for the workers, rather than organizing the workers, makes it a harder match to conditions 50 years ago in the fields. Still, smaller targets in more defined markets would seem especially vulnerable. The vast number of contingent workers in the informal or so-called gig economy are largely outside of the NLRA jurisdiction, and would seem to have the ability to both strike collectively and encourage boycotts with impunity. Social media and the internet are clear advantages in cost and access now, that didn’t exist then. Nick pointed out that the nascent strength indicated by Black Lives Matter and Occupy of several years ago indicate that there is a likely base for the right issue at the right time for a revitalization of the boycott tactic. My bet is that he is exactly right, and it’s worth putting together the insights that would make such a tactic work while there are so many veterans still alive and well who could share the lessons of past successes and challenges. Paris I spent hours in London in very interesting discussions about how community organizing and worker organizing could more effectively blend together to produce growth and power in both areas. This is exciting stuff. Large unions in the United Kingdom are gradually embracing the potential of community organizing though not quite sure what to make of it, or how to fully utilize its tools and strength. Despite this huge innovative push in the community they face a constant temptation – and pressure — to fall into the established patterns and protocols of the institutional labor experience, even as they try to sort out how to build something new and different. In the workplace they are still looking at how to meld the programs together. This is hard and important work, and it was exciting to be part of the conversation. When we talked about other bold, new organizing, invariably the $15 per hour, Fast Food Forward push, is a topic of conversation and the buzz is loud and lingering. Activists in unions in the UK would like to see similar initiatives, whether they fully understand the situation in the states or not. Talking about the problem of “zero” contracts can produce instant depression. 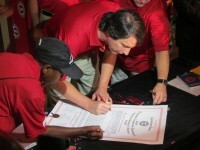 When asked where else I thought they should look, I suggested they follow more closely what the UAW was doing in Chattanooga in moving forward with “members-only” representation for their newly chartered local at the Volkswagen plant there, where they have now crossed the majority in membership and are pressing for negotiations on work conditions in the plant. 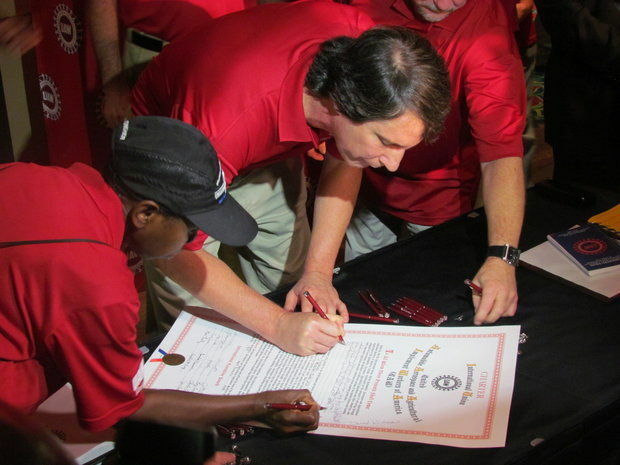 Later I caught up with the news that the UAW has chartered another local union with the same “majority unionism” strategy, but this time in Alabama at the giant Daimler Mercedes-Benz plant there, which I’ve driven by many times between New Orleans and Atlanta, and has been a UAW organizing target for more than 15 years. They announced that they were moving to sign up a majority of the workforce and in fact would ask for recognition at the time they reached that level. This is what can be built by a community-labor organizing model that looks at the future of the labor movement, rather than remembering how the work was done in the past. Everyone, not just my friends in London, should watch all of this carefully.